This gorgeous mix of roses in a clear glass bowl is a little friendly and a little romantic. Know someone who makes you feel that way? 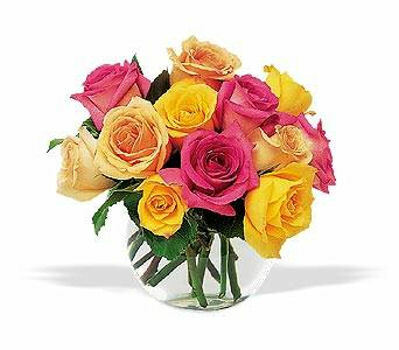 The pink, yellow and peach blooms in this lovely bouquet are not only beautiful, they also express the meaning behind each rose color.